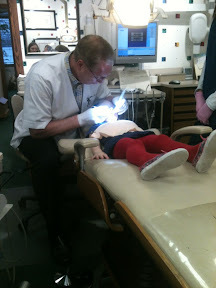 Claire had her first dentist appointment today. She hasn't been able to stop talking about it for the past week. She was so excited that this morning she woke me up at 6 to ask if she gets to go to the dentist today. She did awesome! 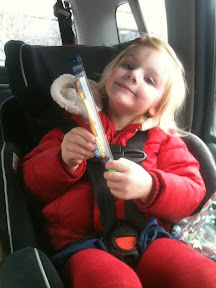 She let them clean her teeth, held impressively still for the x-rays, and loved every minute of it. And of course she was super excited for her goody bag at the end.